Fueling up is one of small business owners’ most pressing problems. Petrol prices vary often, and drivers often seek out lower fuel prices at the cost of adding miles to the bottom line. But business fuel cards can help ease the strain of fueling up an entire fleet. 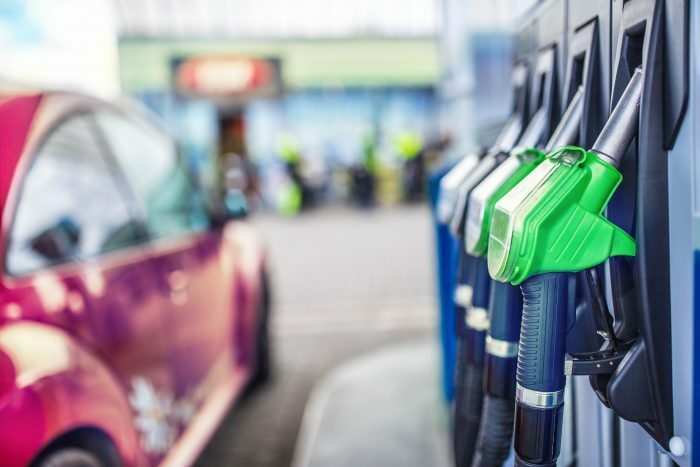 UK fuel cards enable business owners to track and reduce fuel spending, plus offer other benefits that help alleviate fleet maintenance and fuel cost headaches. In this guide, you’ll find out everything you need to know about the 10 best fuel cards, including what they are and the benefits to each one. Many card companies offer fuel cards for the public sector, but business fuel cards use a different set of standards. Not only can you expect to save business costs by using fuel cards for yourself and your drivers, but you can also receive benefits such as service discounts, rewards points, and more depending on the fuel card you select. Plus, you can compare prices with ExpertSure to find the best deal. Here are the top 10 UK fuel cards for business. Even the smallest companies can apply for and receive BP Plus Fuel Card for their organisations. There are also BP Plus Bunker and BP Supercharge options with additional services, depending on the size of your company and your drivers’ needs. Whether it’s just you with one vehicle or an entire fleet, BP’s offerings give every cardholder the benefit of accessible stations, clear pricing, and standard security features. BP uses a Fuel Price Guarantee (FPG) to put a cap on how much you’ll spend on diesel prices. The guarantees last for 12 months and apply to any BP station in the UK. Plus, if prices drop, the Guarantee allows you to take advantage of the lower costs. Overall, each account must spend a minimum of £300 per month. Allstar offers three fuel cards in the UK, but their Allstar One Fuel Card includes features beyond low fuel prices. You can manage not only your fuel spending, but also your drivers’ purchases, plus the administrative details that often prove time-consuming and inaccurate. The One Fuel Card promises to give discounts of over two pence per litre on diesel fuel. The Business Mileage Monitor capability also helps you separate your drivers’ business and private mileage, potentially saving you more money. 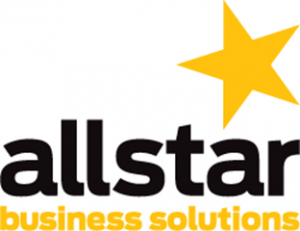 Allstar’s fuel card also includes service discounts of up to 30 per cent through ServicePoint, discounted windscreen repair with National Windscreens, savings on AA roadside assistance, emergency assistance, M6 Tolls payment, discounted vehicle rental, and online account tools. Per month minimum spends vary, ranging from £0 to 300 per account. With the Allstar Supermarket Fuel Card, drivers can access the pumps at supermarket sites all over the UK, plus additional sites that offer diesel and other services. Allstar’s Supermarket Fuel Card lets drivers access prices that are typically below the national average, at about a five pence per litre discount. You can also earn loyalty points when drivers fuel up at supermarket sites. Per month minimum spends vary, ranging from £0 to 300 per account. The UK Fuels Group is a large independent fuel card management company that offers major brand cards, including their own. Their UK Fuelplus Fuel Card for business gives you flexibility and features that make tracking mileage and expenses- and lowering them- more convenient. The UK Fuelplus Fuel Card has a minimum spend of 300 per account per month. Weekly fixed diesel and pump pricing help you manage your fuel budget, plus you can take advantage of lower prices when sites in your network have discounts. Esso’s service spans not only its own branded stations but also additional motorway sites across the UK. The Esso Fuel Card recently combined with WEX, meaning a larger network for petrol fuel-ups and the benefit of two veteran companies teaming up to deliver service. Esso has a minimum fuel up the amount of £300 per month per account. They offer Tesco Clubcard loyalty points with your card use at participating locations. Plus, there are payment and pricing options such as pump price and commodity-based pricing. Texaco Fuel Card cover the needs of all types of businesses. The Texaco The Business Card matches pump prices and works at over 2,000 service stations across the UK. The Fastfuel Card helped out with regional coverage, with access to over 2,300 service stations and fixed weekly pricing. Neither Texaco card has to join fees, and the Business card has no minimum usage rule. However, the Fastfuel Card has a minimum monthly spend of £300. A Shell Fuel Card enables you and your drivers to not only refuel at any UK Shell station but also access other services at those locations. Their mobile app helps you plan trips without inconveniencing drivers who have to go out of their way for affordable fuel. Shell’s fuel card maintains a minimum spend of £300 per month per account. Depending on whether you choose a single- or multi-network card, you can expect to pay about £18 per year for their services. 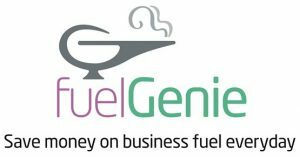 Although the Fuelgenie Fuel Card is not the biggest name in the fuel card business, their no-cost card offers all the benefits of larger corporations’ cards. Depending on the size of your business and how far workers travel, you may find that the Fuelgenie card offers enough features to cover the whole fleet. Signing up for a Fuelgenie card is free, and you can expect to save up to 3 pence per litre at stations like Tesco, Morrisons, and Sainsbury’s. Cards are unlimited, and there are no surcharges or other hidden fees. The Crystal Fuel Card is an offering from UK Fuels, unique in the fact that it allows you to customise your weekly spending. Use their calculator to set pricing for the week, then refuel at over 2,000 sites with a fixed price. The Crystal Fuel card requires a monthly minimum spend of £300. With weekly custom spending, you know how much you’ll pay in fuel costs and can adjust accordingly as you require. With a Keyfuels Fuel Card, you have options from what type of card to how you pay for petrol. Choose either the Direct or Pay as you Go cards, then use your card at Keyfuels’ network locations across the UK. While the Pay as you Go card option with Keyfuels incorporates a management charge into your weekly fixed fuel price, the Direct card uses a price per litre fee based on the volume of fuel and the services you require. Both cards require a minimum of £300 spend per month. You know your business needs a fuel card, but how to find the best one? With a range of network options, price points, and feature packages, there are fuel cards to suit each business, regardless of size or industry. You can compare pricing with ExpertSure, plus learn about all the features you need in a fuel card. Most fuel cards have a minimum monthly spend requirement. For a larger fleet, this may not pose a problem. If you’re a solo business owner, however, or have very few drivers, you may find it difficult to meet those minimums. Therefore, you should look at each card’s minimum requirement to avoid incurring additional fees or having your account closed. For example, the Fuelgenie Fuel Card is our top pick for small businesses with unpredictable fuel needs, as it requires no minimum spend. Though most fuel cards include yearly fees, the structure of the fees varies. Some cards add fees into your weekly set fuel pricing, such as the Keyfuels card. Others incur yearly fees per card, and some depend on how much fuel you purchase by year’s end. It’s difficult to compare pricing when fuel card companies are reluctant to share the figures. However, using ExpertSure can help you compare costs and benefits to find the best deal. If your drivers follow the same route most days or weeks, you may not need an expansive fuel network. But what if they have unpredictable courses that often take them through rural areas? Consider where your drivers will be venturing and choose a system that suits those needs. For example, the Esso fuel card receives our vote for the best overall card due to its expansive network size. But if your company travels within a specific area, the UK Fuelplus’ smaller 1,800-site network may prove sufficient. If you have a large fleet, you already recognise the difficulties of checking mileage, spending, and other driver habits. Many fuel cards include features such as spending limits, pin security, and splitting of personal and company mileage. While some companies may have administrative staff to handle billing and account details, others will want a simpler approach to fueling needs. What card you choose will depend on how much oversight your fleet requires, as well as how many drivers you have on staff. As a business owner, you likely desire as little paperwork as possible. Most fuel cards offer consolidated invoicing that manages VAT and lists all transactions in one place. With many cards, you don’t even need to keep receipts handed in by your drivers. Plus, online account access means you can request new cards, cancel compromised ones, see weekly costs, and more. Many cards allow you to run reports and cap spending without leaving the office, too. Some companies enable alerts that can notify you when you go over budget or mileage. With the availability of online mapping and remote application services, it’s easier than ever to utilise the digital benefits of your fuel card. If your provider offers it, downloading a digital app can keep drivers on course while they find a fueling station. Rather than pulling over or driving kilometres out of their way, drivers can call up a smartphone or tablet app and find the nearest in-network fueling station. Not yet convinced? A business fuel card offers business owners peace of mind and control over their fuel spending. Whether you make up your one-person team or have scores of employees, maintaining tight control over your finances and fuel costs can make a big difference to your bottom line. Fortunately, it’s easier than ever to find the right fuel card for you with these top 10 fuel cards for UK customers. Stop worrying about rising fuel prices and take advantage of the card- and its benefits- that fits your company. Ready to compare? Let’s go!